OK, now that I've got your attention, I'll say the usual "It's easy!" to make sure that all of you who don't like math are properly scared. There are other things that drain energy (riding next to a mountain of magnetic ore, air turbulence from cars, eating too much at the church supper before riding), but they aren't usually entered into the equation. The reason why the equation looks so complicated is because everything but the kitchen sink has been put into it and common terms have been canceled out, so it doesn't make sense anymore. If you pull the things back out, you can get a much better idea of where the energy goes. It's also possible to leave out the gravity or acceleration parts if you don't need them and get a much simpler equation. Notice that everything is simply multiplied together, so that if you are twice as slippery (drag is half as big), you can be twice the size and still use the same power. The part that should stick out like a red flag is Velocity, because it gets cubed. (The physical drag increases proportional to the square of velocity, but because there is less time for doing a task at a faster speed, the power (watts) that must be used increases by the cube.) Riding along at 6 mph would be a cube of 216, but riding at 20 mph is a cube of 8000, meaning 37 times as much energy is needed. You'd have to be 37 times smaller, or 37 times slipperier, to stay at the same power level. Thinking back over the last several years of town energy committee work, I've realized the above energy explanation needs to be better. Many people I've talked with haven't known the difference between kWh (kilo Watt hours, or the quantity of energy), and kW (kilo Watts, or power - the rate the energy is flowing) on their household electric bill. Using the common analogy to plumbing, kWh is a quantity similar to a gallon, and kW is similar to the rate the gallons are flowing through the pipe, (gallons per hour). Since we can't collect a bucketful of electrons, we define their equivalent to a gallon as the quantity of electricity that has flowed at a specified rate (kW) for one hour. 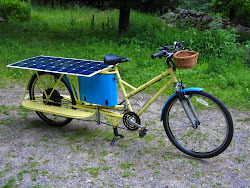 Changing over to electric bikes, we get rid of the kilo (1000) prefix because a bike uses less electricity than a house, and say that the electricity is flowing to the motor at for example 200 Watts. Then if the trip lasts an hour, the energy used was 200 Watt hours. We can toss out the first part, gmVg(K1+s), because it is about friction and hills, and simplify the second Air Resistance part to Power = K2Va(cubed). Since K2 is a constant, power needed from the motor is simply proportional to the cube of speed Va. Doubling the speed to 20 mph would need 8 times the power (2 cubed), or 240 Watts. 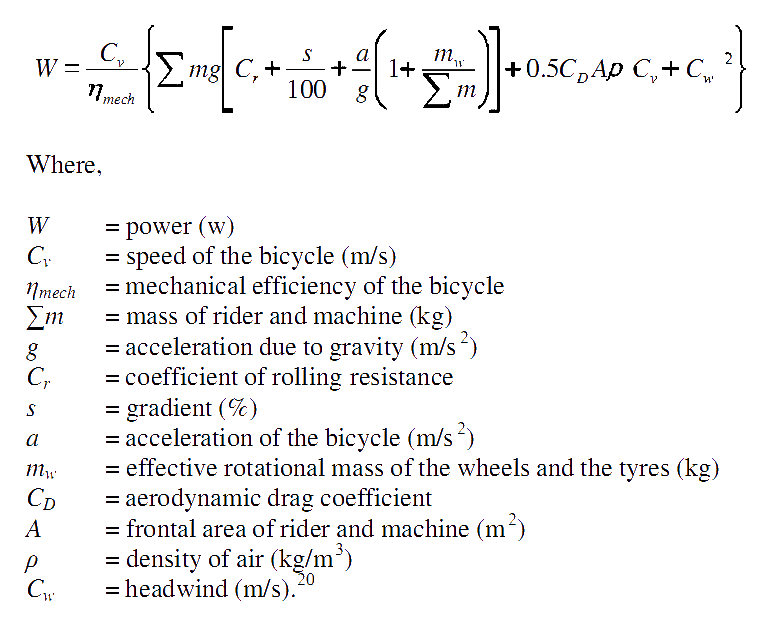 (You can also calculate the numbers using K2 = 0.03 for mph and watts units. Note that K2 would be larger for more air resistance, and smaller for less.) However the trip would take only half an hour, not a whole hour, so the total energy used would be half of 240, or 120 Watt hours. Thus to go twice as fast, the motor would need to be 8 times as powerful (240 Watts/30 Watts), and the battery would need to have 4 times as much energy capacity (120 Wh/30 Wh). I should mention that no one has a clue what the Coefficient of drag (Cd) of a design is, until it is built and tested in a wind tunnel. I've included a couple of generic charts below to help you make a guess for your project, and compare it with other projects. Clunker average tires can have twice the rolling resistance that racing road tires have. Weight is included because the heavier you press down the more the tire deforms, and the larger rubber flexing absorbs more energy. High tire pressure reduces deforming, but when the tires are so hard that they cannot flex, the bike and rider are pushed upwards over every little bump. 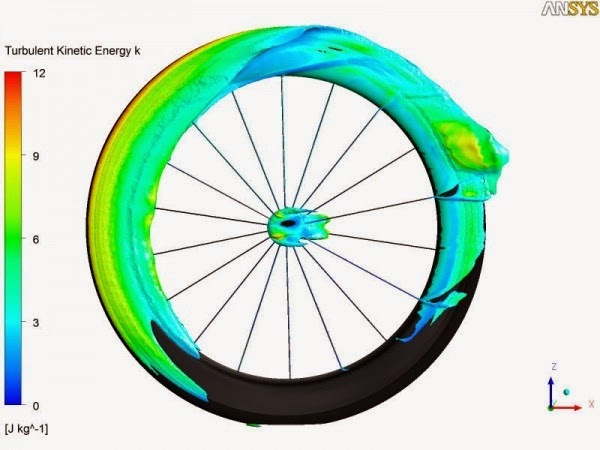 This is lost energy because it isn't converted to forward motion by coasting back down the other side of the bump (you just fly through the air for an instant), so a very tiny amount of tire flex will actually give the lowest energy use. I should mention here that narrow tires aren't faster because they flex less, it's because they have a smaller frontal area with less air resistance, (actually fat tires have less energy loss due to flexing, and if you ride only at slow speeds then fat tires are a better choice). Aerodynamic rims are used to further save energy. Air turbulence (i.e. lost energy) around a tire traveling towards the left. doesn't rip the fender off. As I briefly mentioned in the Regeneration post, you do not get all the energy back going down the other side of the hill that you put in when climbing. Some is lost to braking, and some to air resistance, so the useful energy in the downhill momentum is less. 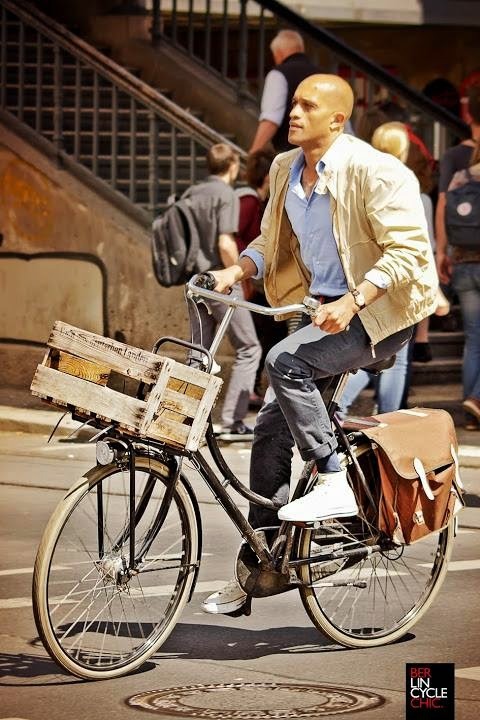 The best thing you can do here is to make the bike (and yourself) lighter. Sometimes the rotational mass of the wheels is included in more complete equations, but if you are not accelerating it doesn't matter for other considerations. Like gravity there isn't much to work with here other than keeping things light. This is rolling down the road numbers, gravity and acceleration have been left out. 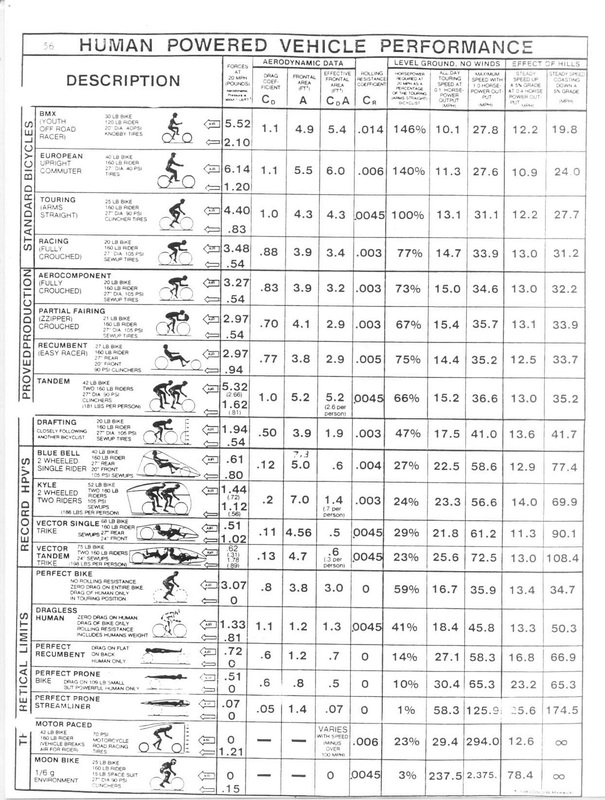 Drag and power numbers for different bicycle riding positions. the lower is rolling resistance, both are in pounds of force at a speed of 20 mph. 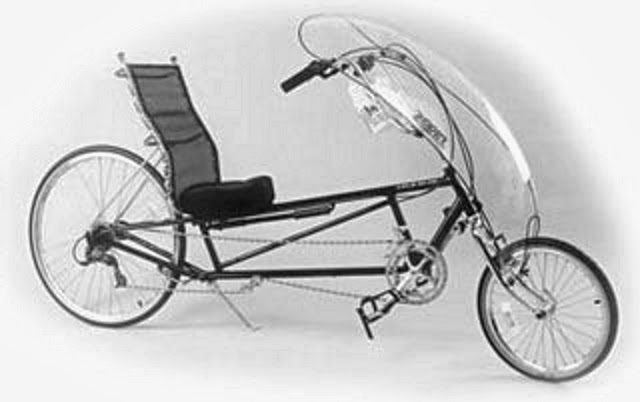 (Dutch Oma bike) has a Cd of 1.1, and the speed record bike's shape is closer to 0.1. 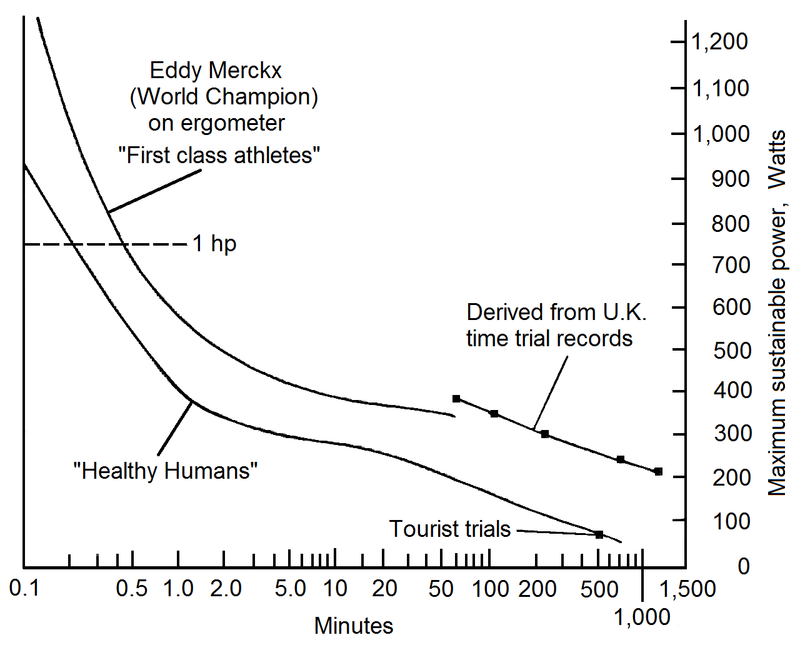 One person's power, (or one battery's worth), can go 10 times further in the streamlined body. 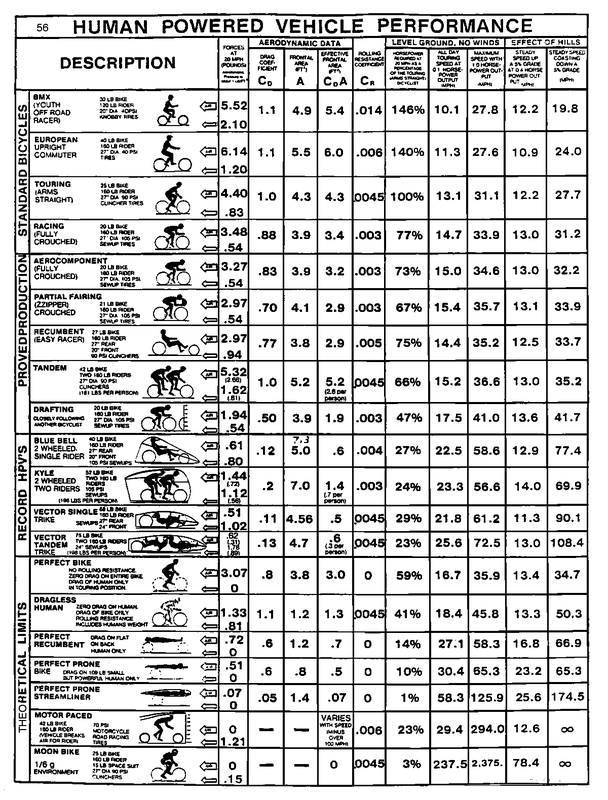 The sixth column is how much energy that riding position uses relative to a touring bike. Energy use of various bike types. The fifth column is watts needed due to air drag at 22 mph. 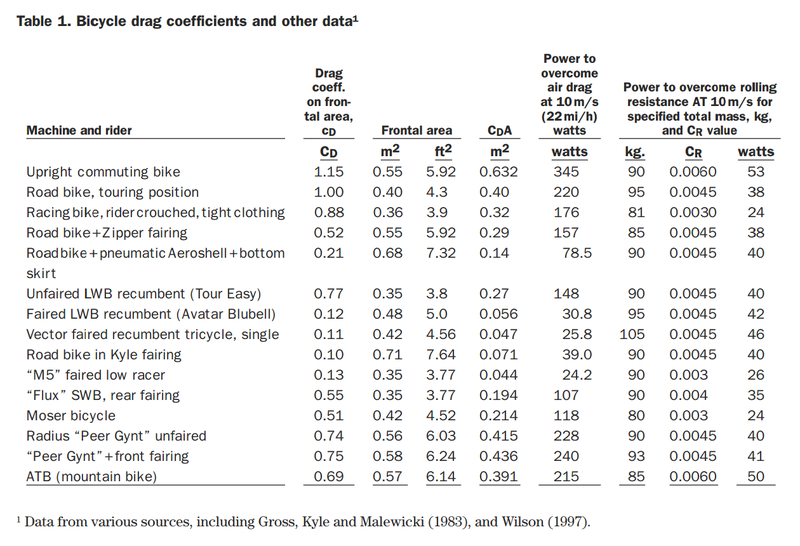 The last column is watts needed due to rolling resistance at 22 mph. 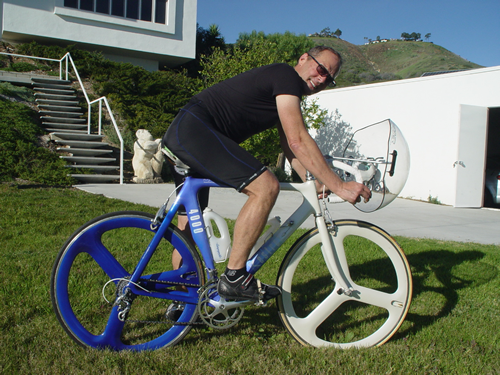 The top line, "Upright commuting bike", lists 345 watts to push against air resistance at 22 mph, and 53 watts for rolling resistance. Since we know an average commuter is good for 150-200 watts, we know that 22 mph isn't going to happen for more than a few seconds. This is a problem when doing long errands to the next town. Adding an electric motor would make it possible to travel faster, but at the cost of using 400 watts of energy. Trying to design something with longer battery range will require paying attention to air resistance. 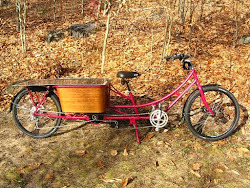 This bike is using about half the energy of an upright commuter bike. and I don't want to ride 30 miles bent forward. Frontal area can be greatly reduced by riding position. Less frontal area and a fairing- a long wheelbase recumbent with Zzipper fairing. In the next post I'll look at Cd, air flow, and play with some basic shapes used in airflow design. We no longer offer the Kalkhoff bikes, preferring the Bosch based systems for reliability and support. We offer UK and EU compliant machines with pedelec and/or throttle (twist and go) options.